The 39th Street Gallery is dedicated to fostering fresh, creative exhibitions and projects that engage artists, curators, critics and the public in contemporary art dialogue. Located a quarter mile from the Washington, DC line this 450 SF Gallery is located on the second floor of the Gateway Arts Center. The gallery has a full schedule of artists talks, workshops, and a variety of programs that engage artists and the DC Metro community. Regular Gallery Hours: Thursdays, 7-9pm and Saturdays, 12-3pm or by appointment. 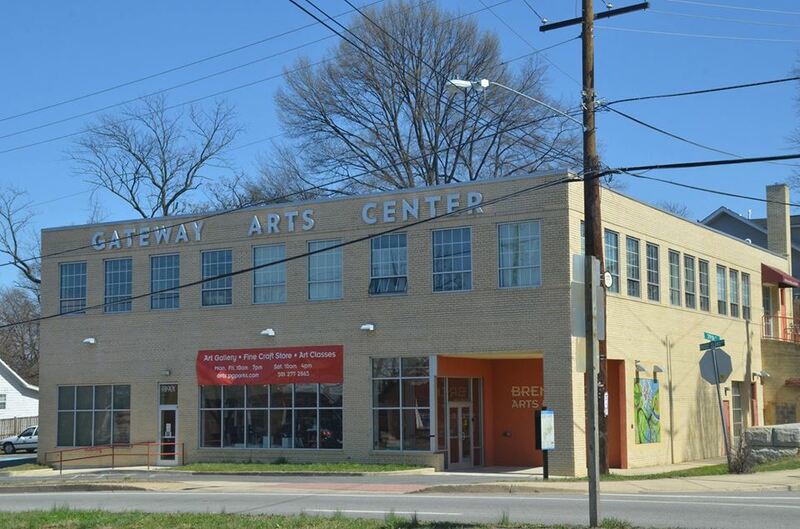 Amazing artist studios for lease in the Gateway Arts District. Studios range in size from 265 to 1100 square feet starting at $380 per month. Parking, major street visibility and best of all, a collaborative arts community. Call or email Zina Dixon for a private showing at 240.450.2995 or info@allegiantpropertymgmt.com. The Gateway Media Arts Lab is home to five creative communications entrepreneurs that have a passion for design and innovation. Collectively their services include projection design, digital media services, film and video production, graphic and web design, storytelling and content creation. In addition to collectively producing projects that will support Gateway CDC's mission of economic development through the arts, the companies will offer professional creative services to businesses, non-profits and other entities in the region and beyond. click here to Visit the Gateway Open Studios Tour website to learn more about the event, explore local artists and plan your visit! Click here to see featured artists PSA's on our YouTube Channel. Gateway CDC works with the most innovative developers to bring exciting and sustainable mixed use projects to the Gateway Arts District. Here are links to a few of the projects that began construction in 2016.